IF YOU WANT A PROFESSIONAL LOOK, CALL DAN! No Matter How Good Your Service, People Must Find You First. Let Us Help, Call Today! We offer Vehicle Wraps, Vehicle Painting, Car and Commercial Fleet Lettering, Awnings, Banners, Trade Show Signage and more! Thank you for choosing DAN D SIGNS. We are committed to helping your business reach your target demographic audience. 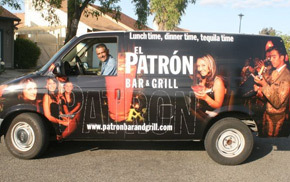 The profitability of your company is our primary goal when wraping your company vehicle. Why pay thousands on billboards when you can go mobile and utilize the space you already have. We provide all of our services to all of Northern California, including Sacramento San Francisco, Stockton, Modesto, Folsom, Roseville, Orangevale, Citrus Heights Davis, Chico, Redding and surrounding Bay areas. We are equipped to service all of our customers either on-site, or from our home office in the Sacramento area. This vibrantly colored wall painted logo, was professionally designed, outlined, traced with a paint liner, and then carefully hand painted. If you want professional wall painted logos, products and services or brand colors, call Dan at (916) 689-2202. It's all about material selection. As with any product, the finished quality is only as good as it's raw material. This starts with choosing the best material. This veicle was professionally wrapped and has lasted over 5 years. The owner is extremely happy and you can read his testimonial. If you need a large format sign to display your company, logo and information, Dan can help build it for you. Professionally handcrafted, and even lit inside The prices are afforable and the work is done very nicely and to your satisfaction. 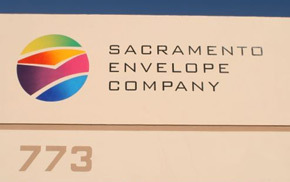 We have been established in the Greater Sacramento Area for over 30 years. I serve small and large companies in the Greater Sacramento Area; from major Awning Company's like (Goodwin-Cole) for over 20 years to construction companies like MP Allen, SW Allen, Heintz Construction to name a few. I also do fleet vehicle signage for companies like Schetter Electric, Frontier Communication, Creative Design Interiors and others. All of my customers love my work, and so will you. Give me a call if you need any of the services you see on my website. Let me help you choose the right letter style, the right colors, the right words, the right size and the right materials to suit you! So your company can make an impact on your customers. Your company is important to me. Let’s make it important to everyone! 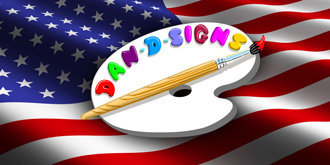 I understands that banners, signs, murals and other signage is vital to the success of any business. Consumers look for brands, and I know how to brand your company image and logo. 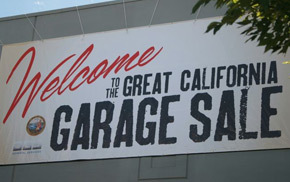 For years I has been helping local Sacramento business succeed with professional and eye catching signs. I will sit down with you personally and professionally to find out what you're looking to get out of my service. I will then hone in on your vision and produce colorful banners, signage and other display products and services. Starting with your design or vision, I will create it on my computer and then print it on a large scale printer to produce crystal clear and high definition images. The quality of wrapping material is best of it's kind, if you have a company fleet of vehicles that you need to brand, I, Dan am your man. D-42 CA State License #713749, bonded liability and insured. Call me at anytime at (916) 849-8767.